Do you want the best skin of your life? This is a whole person approach to treating your acne. This will be different than all the times before! This is for people who are ready to change their skin! I will look at your skin, touch your skin, and treat your skin. I will make individualized recommendations for your type of acne. 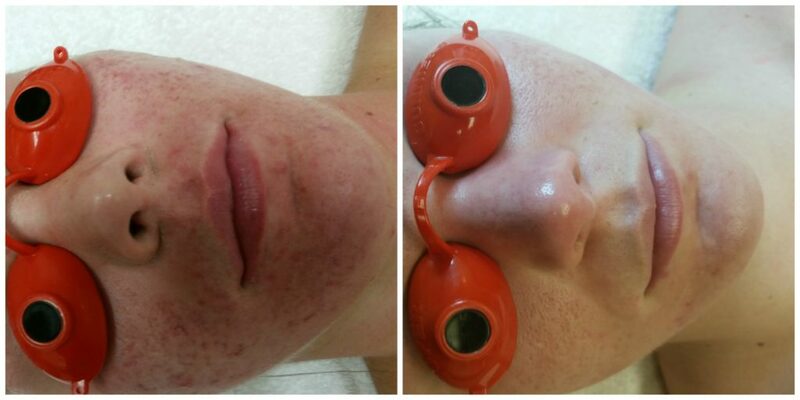 I treat and help prevent acne for people with hormonal, adult, acne rosacea, bodybuilding, teenage, or adolescent acne. I treat women, men, children and all types of skin. The acne products are customized to address all types of acne in a unique way individualized to your skin’s needs. This is is how I do it! I recommend that you will come in every two to three weeks until you are clear. It takes approximately 12-16 weeks to get your acne under control. Most people have remarkable results after 6 treatments. Not all acne works on the same time frame. Acne that is inflammatory in nature will heal first, and non-inflamed lesions (Maturation Arrest), will take longer to surface. The products and protocols are the closest to prescription grade. These products control and prevent comedonal acne from forming. If you adhere to the home care guidelines, change your lifestyle, and work with my recommendations success will come quicker! Please expect to pay approximately $150 for your first set of treatment products. Using your products as discussed is crucial to staying and maintaining clear skin. It’s all within your grasp! I have cleared my own skin, I will clear yours too! With your help, patience and diligence! *Results can vary from person to person. Acne is individualistic and results depend on your ability to be compliant with changes, skin care regimen, health, number of acne treatments, and severity of acne. Working with Rachel was exactly what I needed to clear up my acne. … Within a matter of months, I went from never leaving the house without make-up to rarely using any foundation or cover-up. I felt in very good care with her, and my only regret that I did not find her sooner. She is truly talented at what she does and I would recommend her to anyone struggling with acne.